Come Friday night, your hot ticket awaits at the water’s edge (but only if you act fast, as this summer soiree is expected to sell out). Unveiling its new Gold & Glam theme, Riverlife‘s 5th annual Party at the Pier is a shining combo of merry making and doing good. A confluence for a cause, Party at the Pier returns to the North Shore with an evening of glitter and glam, celebrating a golden age of the city’s riverfronts and showcasing the work of Riverlife. 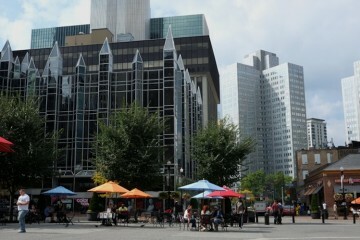 Marking its 15th anniversary, the Downtown-based nonprofit works to guide and advocate for the redevelopment of Pittsburgh’s riverfronts, emphasizing their connectivity to commerce, economic development, tourism and quality of life. 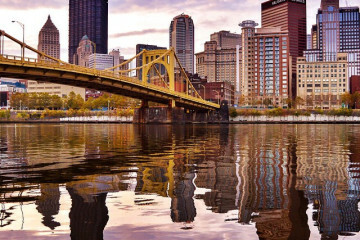 Read more about Riverlife’s ongoing work with property owners, elected officials and community stakeholders in NEXTpittsburgh. Whether it’s our signature bridges, dramatic sunsets or champion sports teams, Pittsburghers share a love of all things golden. With a nod to Pittsburgh’s emblematic Golden Triangle, Party for a Pier will light up the North Shore Riverfront Amphitheater at Rivers Casino with plenty of uncorked surprises planned for 2014. Step onto the riverfront promenade, grab gold-theme cocktail and take in iconic views of the Downtown skyline and Point State Park. Pier-goers will savor edibles and libations made with locally sourced ingredients by the culinary team at Rivers Casino and Penn Brewery, enjoy high-octane performances by the Elite Showband, dance along the shore, take in plenty of people watching and more. Don’t stay ashore all night! Hop aboard the Gateway Clipper Fleet for a nighttime skyline cruise, as you bask in the water’s reflective aura, check out redevelopment projects along the shore and take in Downtown’s world renowned skyline. This year’s event is expected to gross approximately $200,000 (which if reached, would make it Riverlife’s most successful fundraiser to date). 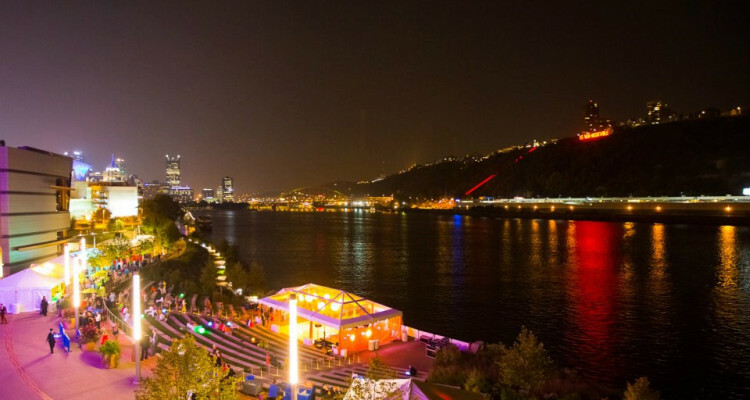 Proceeds from the 2014 Party at the Pier will directly benefit Riverlife’s urban planning, landscape design work, environmental remediation and riverfront advocacy, specifically to build Pittsburgh’s Downtown riverfront park system. There’s no better setting to help usher in the next decade of activity along the city’s waterfronts than at this festive and civic happening. Don’t sleep on ordering tickets in advance, because this bash will sell out and is expected to draw a record crowd of 750-plus river fans. Get a glimpse of the Gold & Glam via Riverlife’s event preview video.